Tasktic is an amazing free iPhone app to add tasks via Siri. 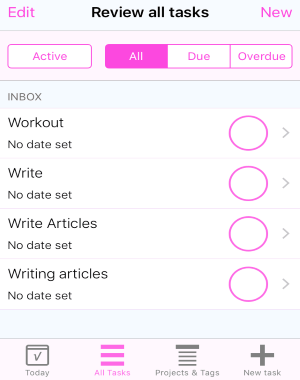 Using this app, you can create unlimited tasks which get auto synced through iCloud. 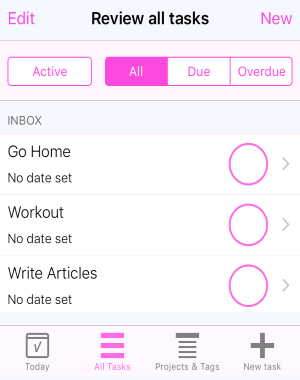 You can set due dates for tasks with reminders in order to get notified when any task is due. It also allows you to organize your tasks efficiently by assigning them to specific projects. You can add as many tags and projects as you want, and also review all your tasks filtered by Active, Completed, All, Due, and Overdue. Similar to another iPhone app Everlist, “Tasktic” also comes with a beautiful and intuitive interface for managing your daily tasks. The best part of this app is that you can create and add tags to your tasks, mark high priority to important tasks, and most importantly it lets you import reminders which you’ve created with “Siri”. Apart from that, it also allows you to add notes to each task. You can write websites URLs, phone numbers, etc. on the notes section and they will get automatically converted into active links after saving the task. Note: The only catch about the tags is that they are paid. That means in order to add tags to your tasks, you have to upgrade to the paid version of this app. 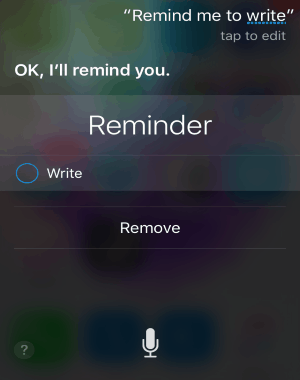 Step 1: To add reminders as tasks via Siri, simply tell Siri about reminding you any task. The reminder is set on your iPhone’s default “Reminders” app. Step 2: Open up “Tasktic” and go to the settings. After that, enable the option “Import Siri and Reminders” to automatically import all the tasks or reminders that you create via Siri. Step 1: You can start using this app by simply opening it, as no registration is required. At the bottom of the screen, you will be able to see 4 different tabs named, Today, All Tasks, Projects & Tags, and New Task. 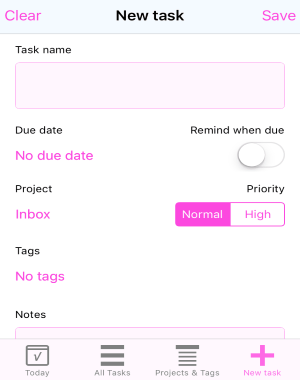 Step 2: To create a new task, tap the “New Task” tab and enter the task name, set a due date, enable/disable reminder, assign to any project, mark priority (either as normal or high), add tags, and write notes. Step 3: In the notes section, you can write anything including phone numbers, website URLs, addresses, etc. The phone numbers and the website URLs are automatically converted into actionable and clickable links. Step 4: All your tasks will be visible on the “All Tasks” tab with filter options like Active, Completed, Due, Overdue, and All. To mark any task as complete, simply tap the round button adjacent to each task. Step 5: If there are any due tasks for the current date, then you can see them in the “Today” tab. Now, let us talk about the “Projects & Tags” tab. By default, there will be a single project “Inbox”. 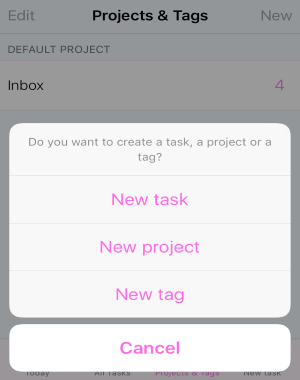 Tap the “New” option at the top to either create new projects or new tags. Tasktic is quite different from other task manager apps, as it allows you to import reminders that are created via Siri. In addition to that, you can also add tags (paid) and mark tasks on the priority basis. If you’re busy to add tasks manually, then simply tell Siri to set a reminder for you which gets automatically added as tasks on Tasktic. Get “Tasktic” from the link here.